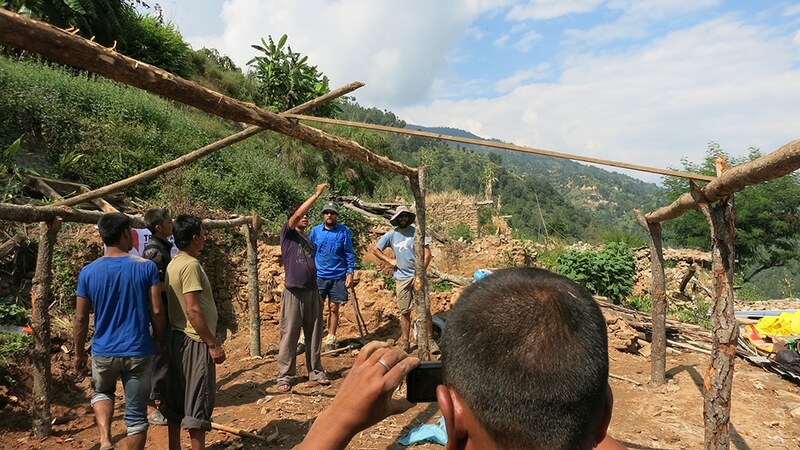 When we returned to Nepal in October of 2015, the gravity of rebuilding housing structures became immediately clear. 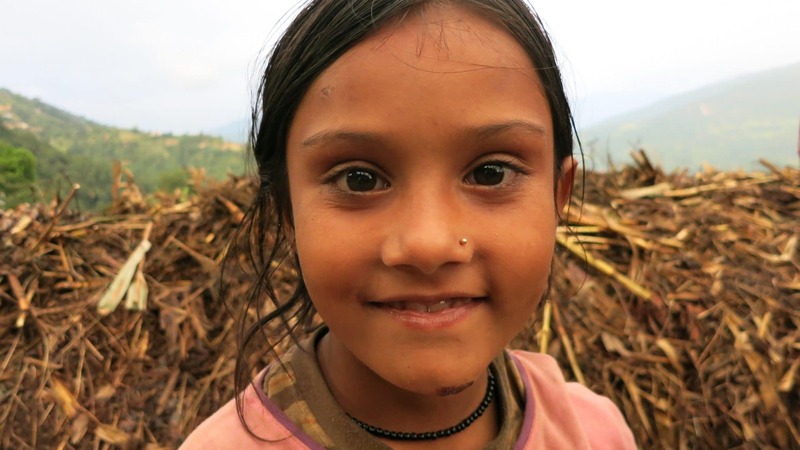 In the months following the April 25th earthquake, thousands of Nepalese flocked from remote areas to the capital city of Kathmandu to access food and shelter. 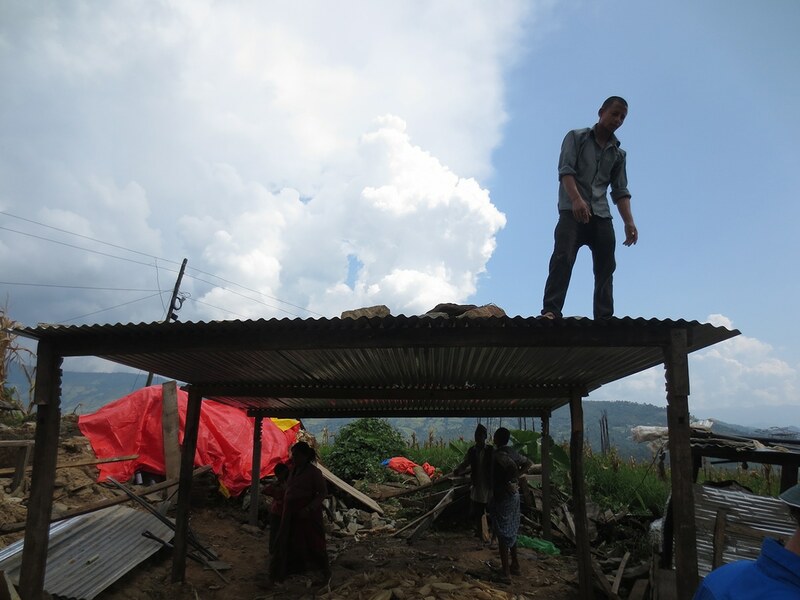 However, most remained in their local villages in hopes of rebuilding their homes. 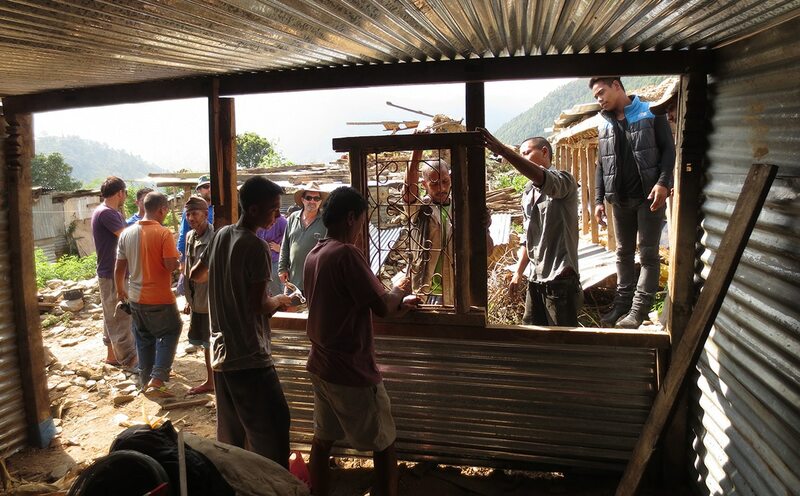 With resources limited and so many structures destroyed, locals searched for salvageable materials that could contribute toward the rebuilding of shelters. 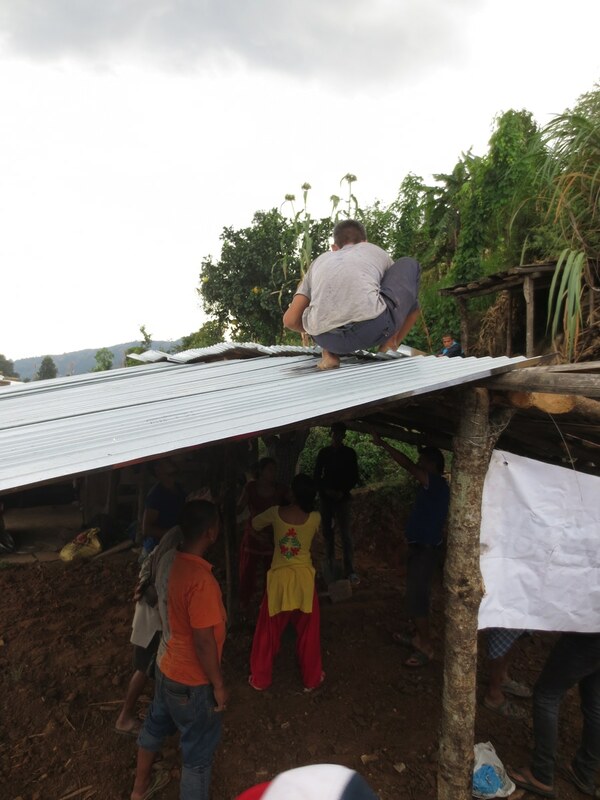 Already tight living corridors became even more overcrowded as multigenerational families and neighbors sought refuge under makeshift tin huts or tarp roofs. 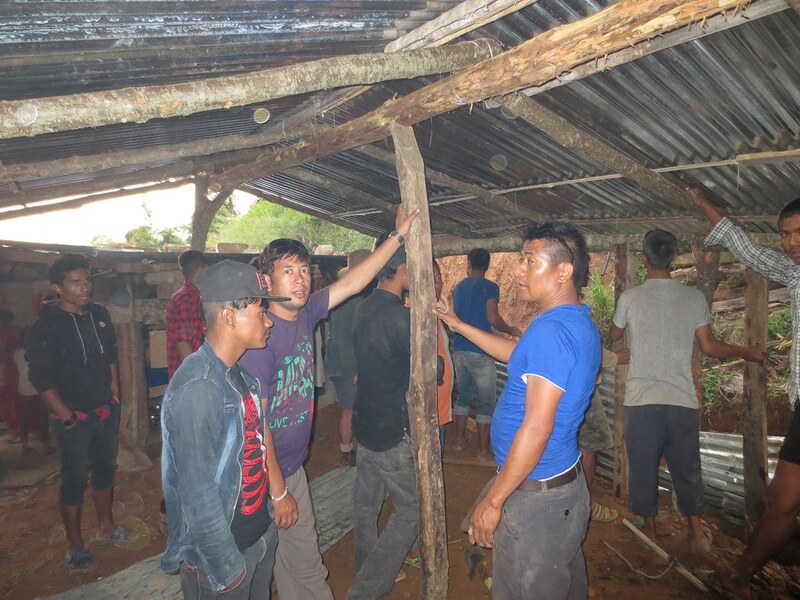 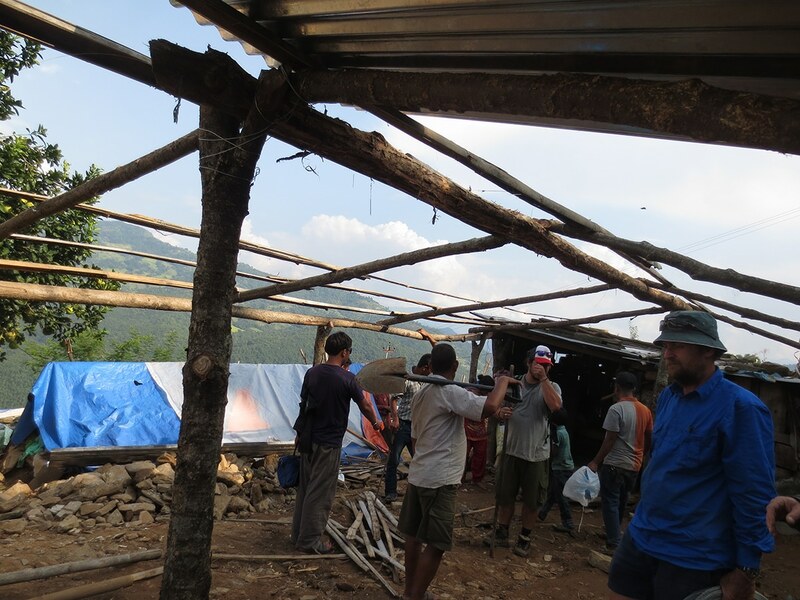 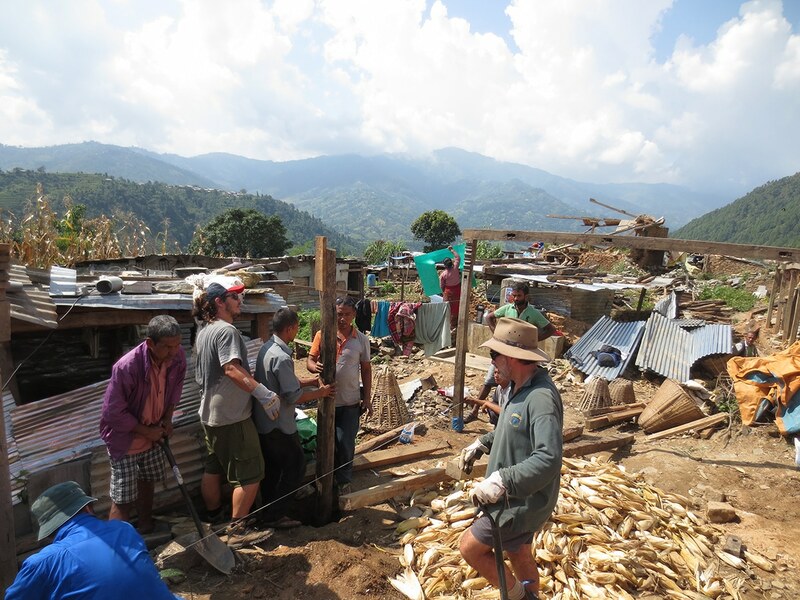 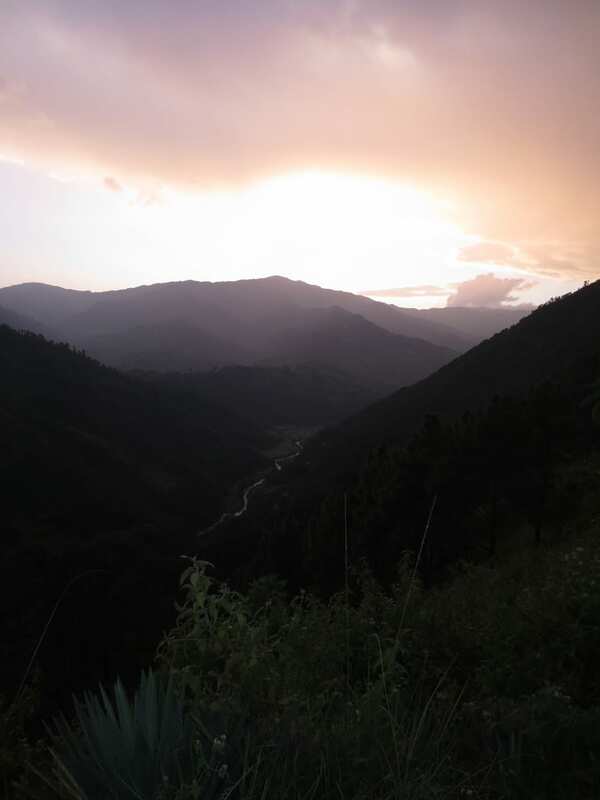 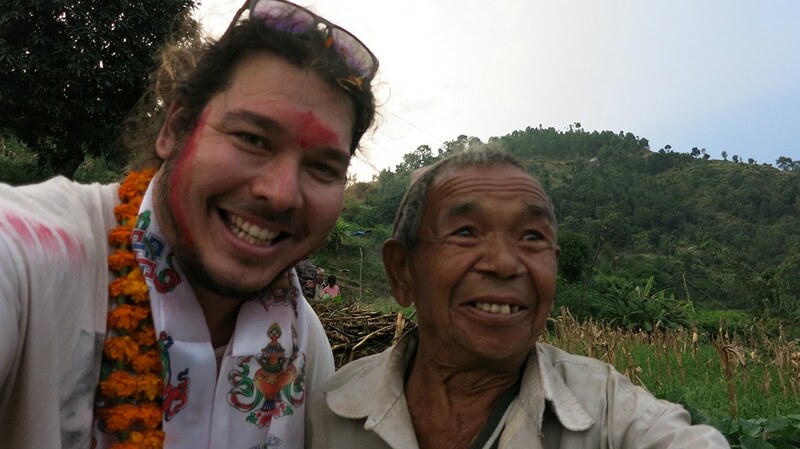 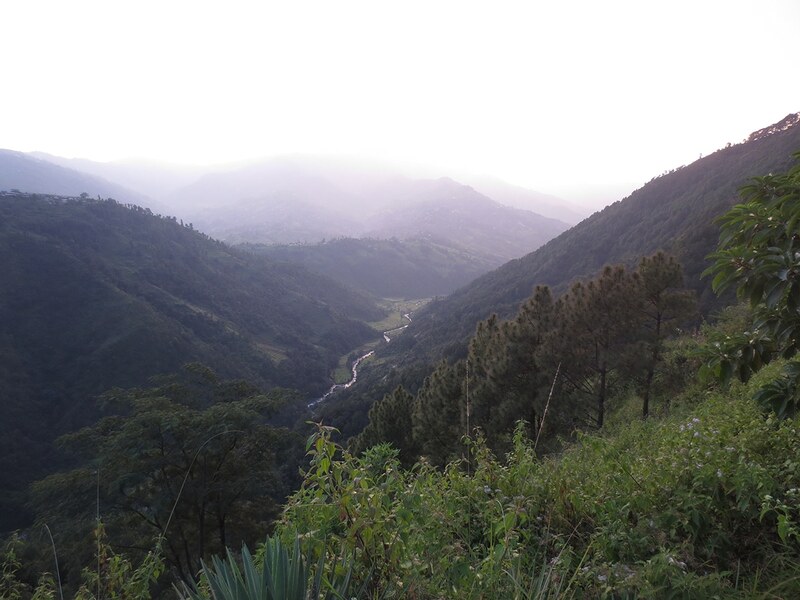 With help from Trek Nepal Foundation, a local disaster relief organization, we became connected with the earthquake-damaged village of Bahunipati in lower Sindhupalchowk District. 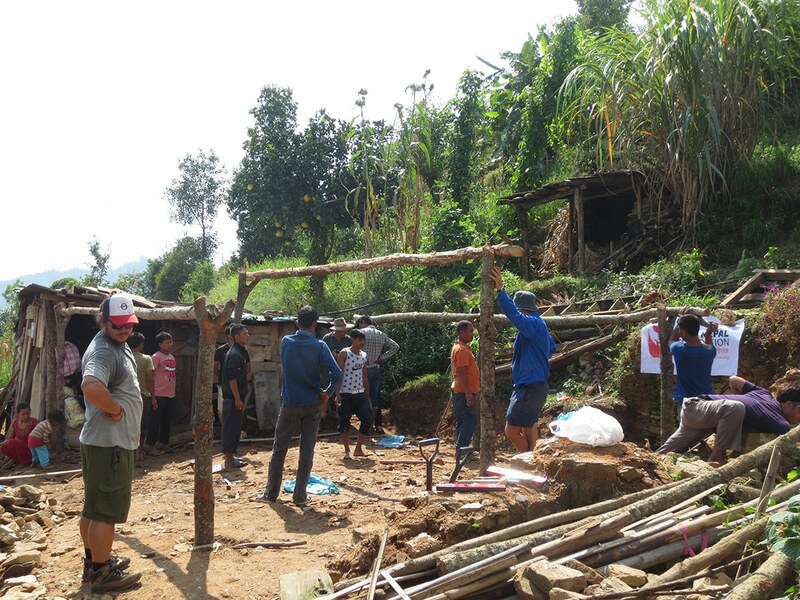 Out of the hundreds of houses that originally stood in this village, the earthquake left only one intact. 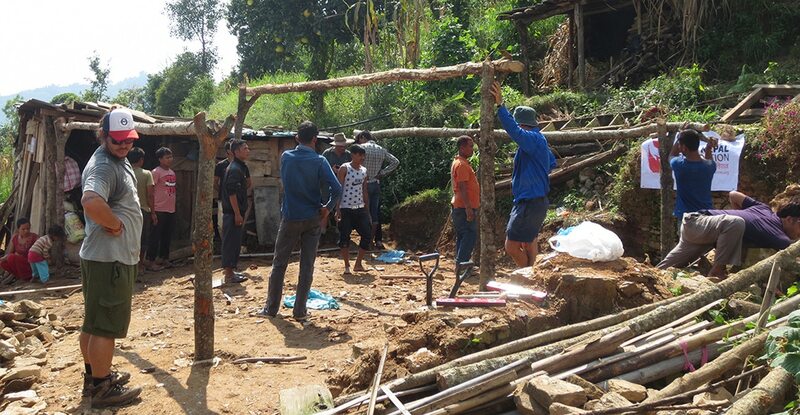 Our fundraising efforts, in partnership with support from Trek Nepal Foundation, allowed hundreds of Bahunipati villagers to build temporary homes in preparation of the soon-approaching Himalayan winter. 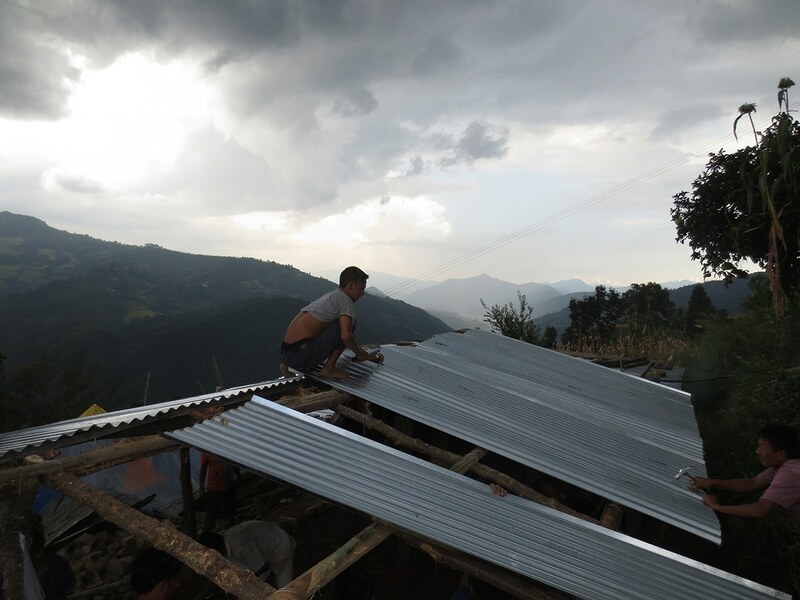 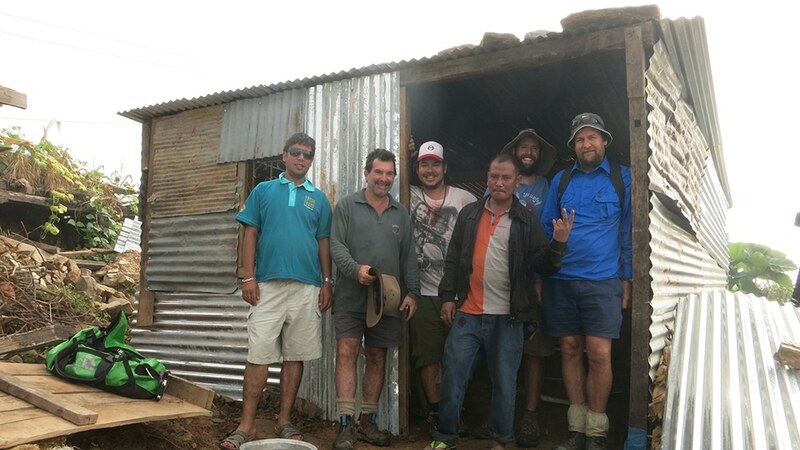 We organized trucks, materials and transportation for five volunteers to access the village, bringing along other necessary tools and hardware, including 300 metal sheets for structure roofs and walls. 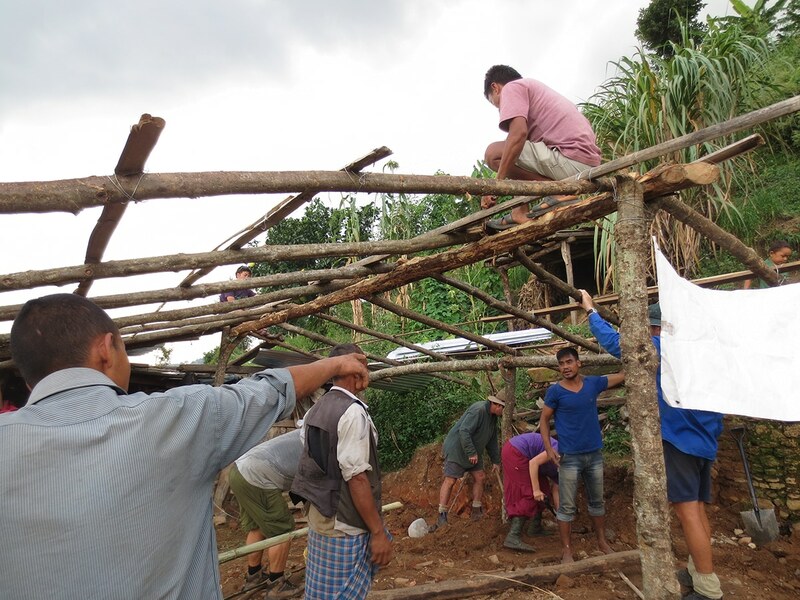 For one week, we worked alongside villagers, providing resources and guidance that helped families build their “new” homes. 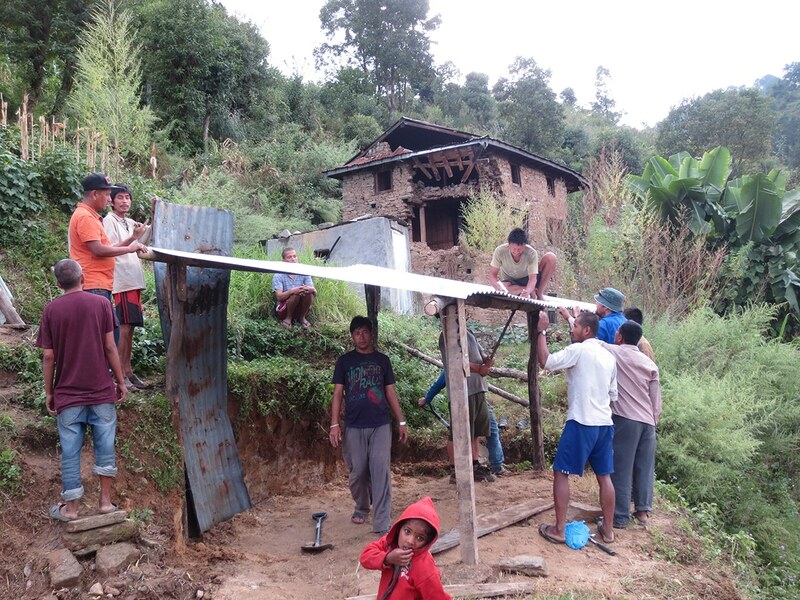 We identified villagers to organize and distribute metal sheets to each local family. 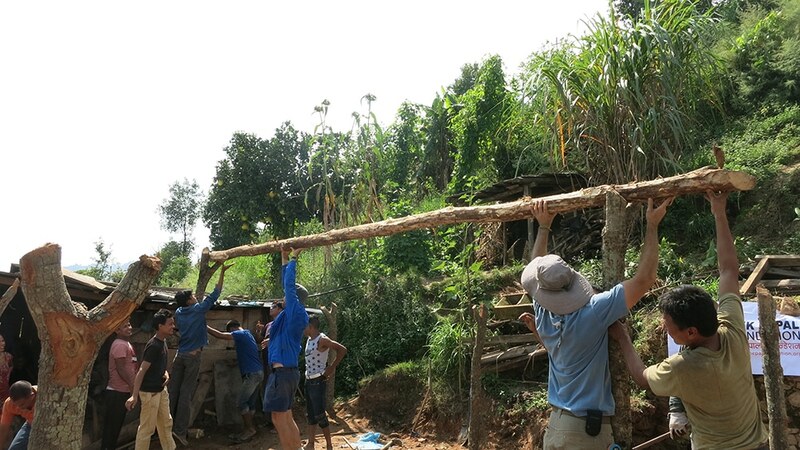 Our team, along with the villagers, collected timber from collapsed houses, which aided in strengthening their newly built shelter structures. 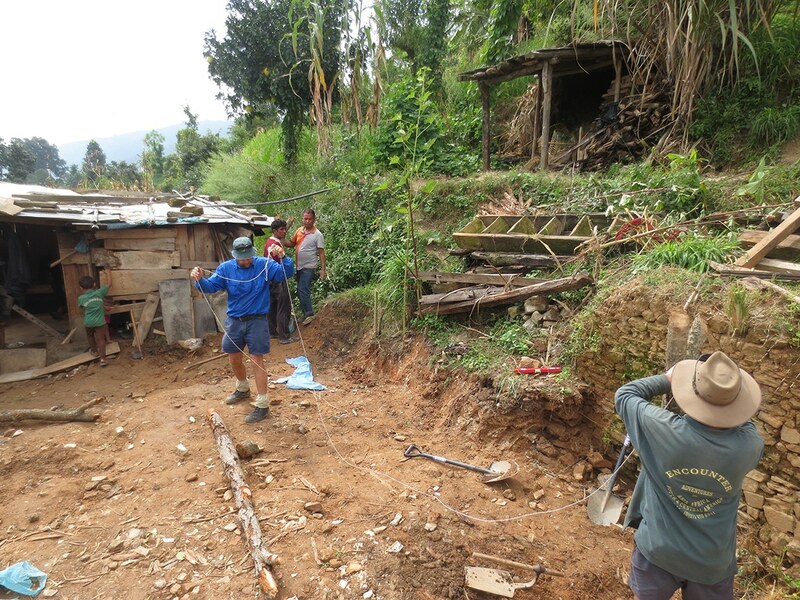 While villagers mostly focused on rebuilding their own homes, we designated non-local volunteers to those less capable of manual labor, including elderly without family support in the village. 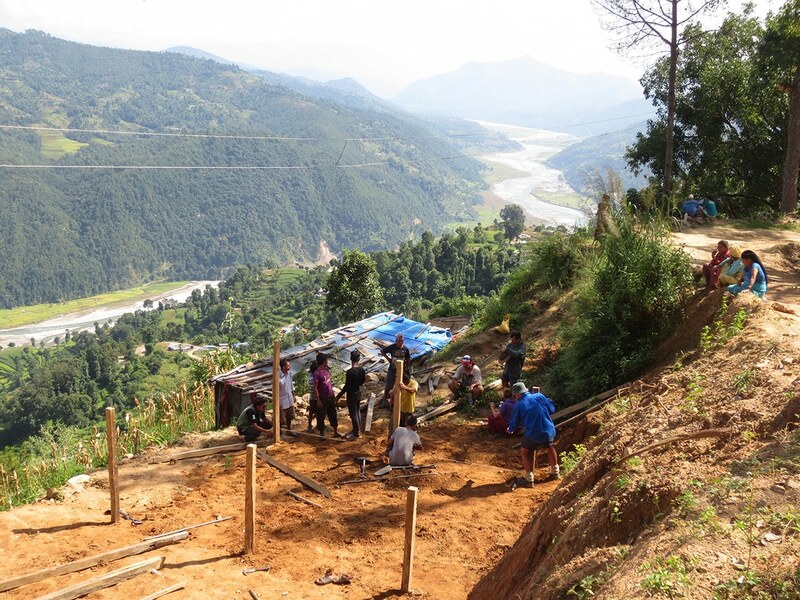 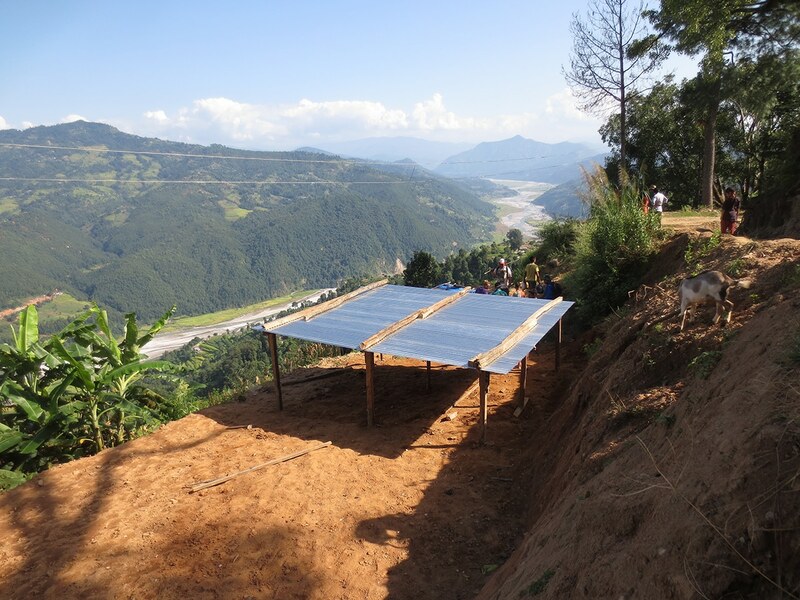 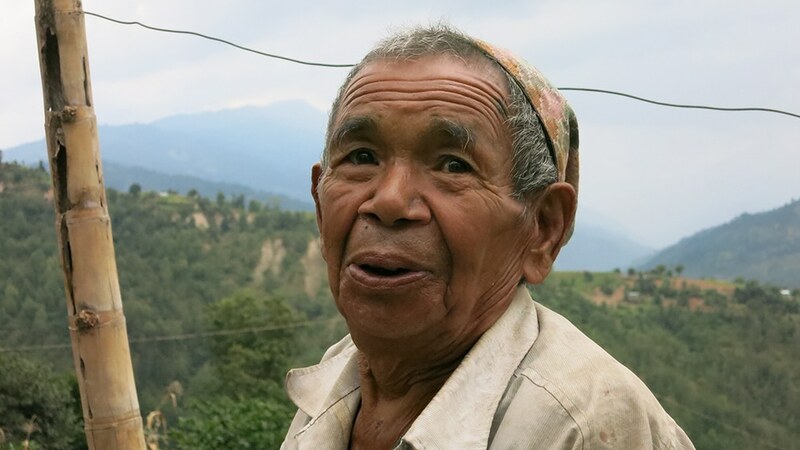 This project impacted only a small percentage of those many Nepalese in need. 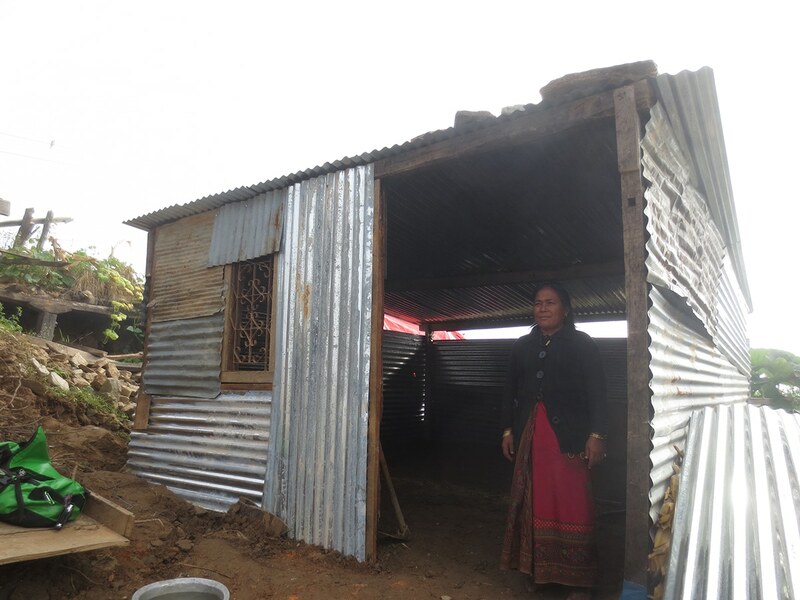 Yet, it provided hundreds of locals with warmer, safer homes for their upcoming winter.